The adventures of Kaitlynn Mockett and her students of AHS. I can’t seem to buckle down and do something as simple as blogging every day. That is one thing I used to hate about myself – my lack of commitment, but I think the better choice is to only try to improve. Try to get better. And when you think to do it, sit down and do it. So here I am. I’m between study breaks — I take my GACE exam this Friday, but I’m also home sick with a lovely bout of laryngitis, fun! I’m nervous about my exam, mostly because I have no idea what to expect, but hey, what is life, right? I guess it would do me better to never expect anything at all. 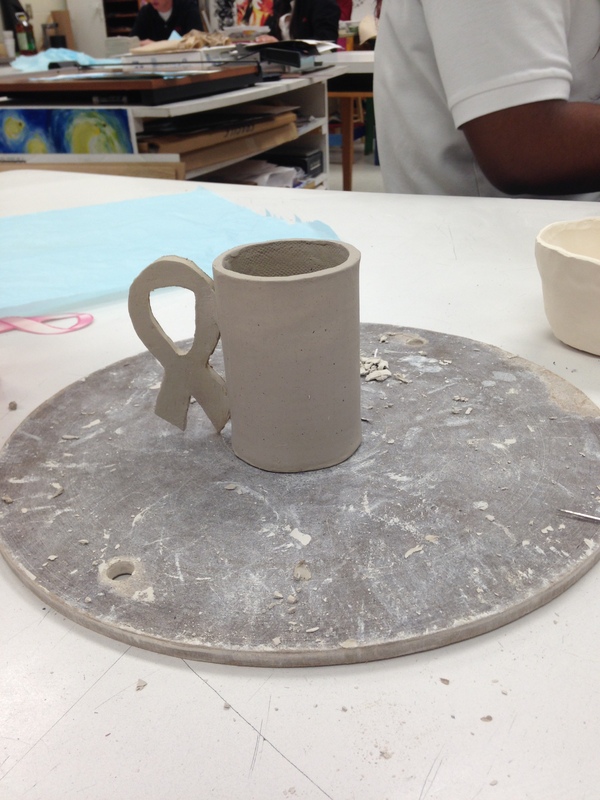 One of Johnny’s cups from the Homage project… he is such a clean and deliberate artist. Love. Some of you may know (others may not) that my student teaching at George Walton has ended. Friday was my last day. The words are hard to find, and maybe that’s why I’ve been putting this off. I did not know five short weeks could bring so much into my life, and also take away from it. The feeling of loss is still too prevalent, because those kids weren’t really MINE to lose. My eighth graders hurt the most because I was with them as long as Bowers was. I knew them from the beginning. Of course I miss all of the students; I had so many new lights in my life every day. But they are Bowers’ babies, and have had her and loved her for longer. They are invested in her. In some ways, student teaching at a high school felt like being back in high school again, but as a new girl. Some days I felt loved over all, others I felt like I had to earn or work for attention or trust. I think it was a powerful and humbling experience; I needed to remember what it felt like to be an outsider in order to appreciate how incredible it feels to be accepted. I learned so much in such a short amount of time… about teaching, but also, and moreso, about myself. 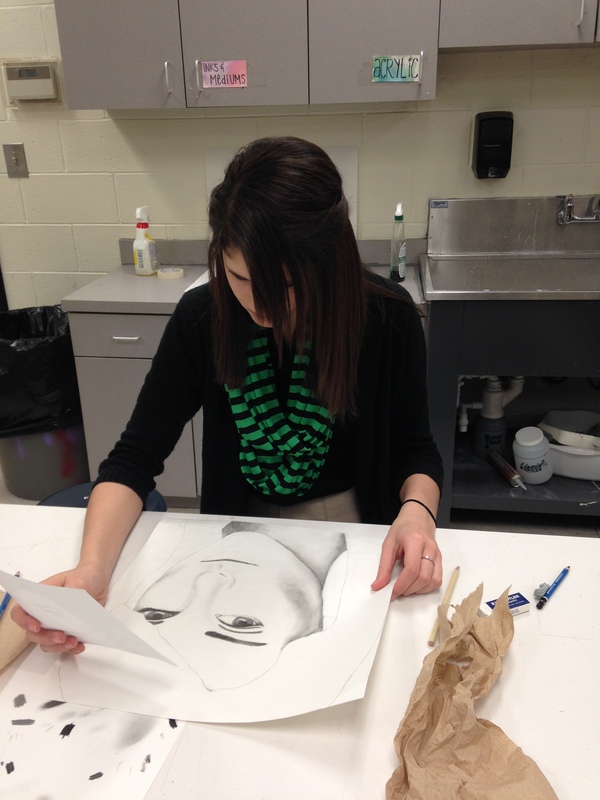 Ashley, working on her hero, Jennifer Aniston. Those highlights are spot on. Can anyone be truly certain of the path they choose at the time of choosing it? We can try to convince ourselves all day long that it’s fact, not choice. I’m MEANT to do this, it’s the only thing I would like forever, it’s the only career that will allow me to have a family, it’s the only way I can make sure my kids are safe, it’s the most logical solution to getting my kids through college, on and on and on. Sometimes I think we sell ourselves short. Maybe instead of looking at things as “well, yeah, this makes the most sense, I guess I should do it” we should see it as a risk. Do I love art? Duh. Do I love high school students? 98% of the time, absolutely. Do I think I can relate to them, write curriculum they will love and be interested in, be more than JUST an art teacher? Yes. Can I change their lives? …I think so? Will I love it every day? I want to say yes, but realistically, I know the answer is no. I guess the point is, even if it makes sense, CHOOSING to do it is still just that: a CHOICE. A choice that can backfire, blow up, explode, break your heart, go terribly wrong… The things we decide to do for the rest of our lives should never be undermined: that is a huge, powerful and risky commitment. 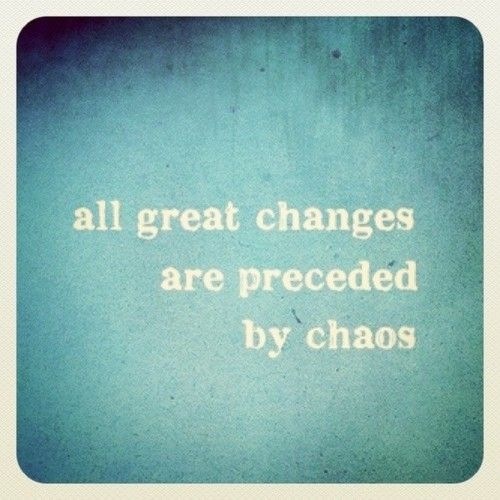 Some of us may not see our lives like that: one big choice that determines how everything else unfolds. I do. 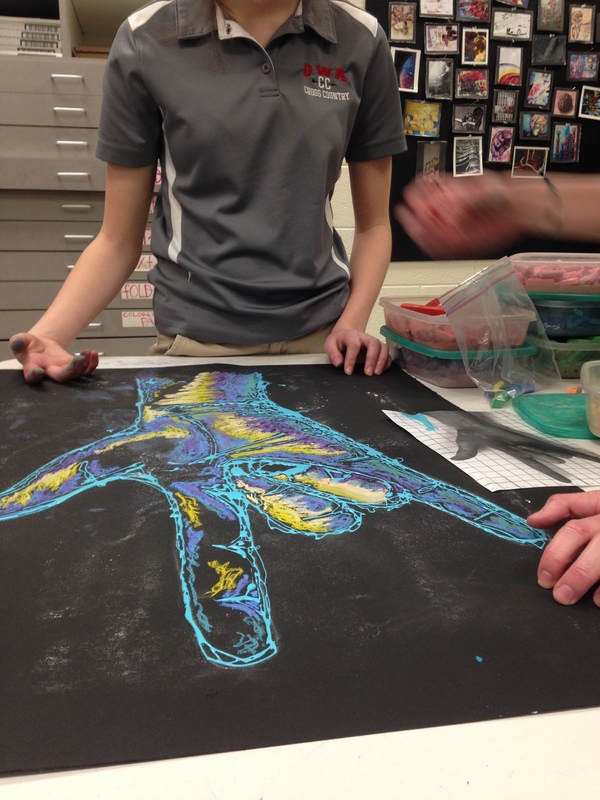 I feel like being an art educator (and an artist) is the one way my life will unfold the way I hope it will. The magic and happy thought to finding the second star on the right. The secret to loving my life, loving my family, loving myself. By doing something I feel in my heart will satiate me every single day. That loving students and teaching art and growing and evolving will be more than enough. This is enough. Helping my sweet Sarah on Emma. Another amazing portrait drawing by our 8th graders. Maybe we should start to say, “Hey. I’m braver than I give myself credit for.” Every decision we make can result in a failure or a mishap. But we still choose them, even after weighing them heavily in each hand. Olive amazes me. 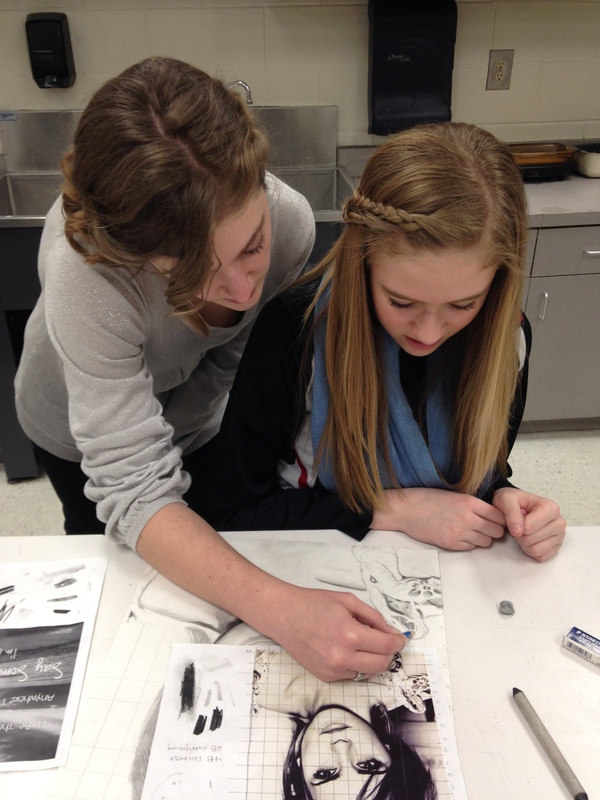 This girl has an incredible work ethic, and her love of mixed media has been such an inspiration to me. Friday was a big day for me. My experience at GWA could not have been any better, more powerful, more helpful, more rewarding. I don’t think I could have loved those students any more than I do right now. But having my 8th graders walk in with cupcakes, doritos (one of Bowers favorite things), and a huge card they all signed saying “we’ve been plotting since Monday!” and “we’re so glad we didn’t give it away, it was so hard!” Hug after hug after hug. They made a choice, too. They chose to love back. Chose to trust me, confide in me, invest in me. They didn’t have to do that. I could have been a wild card. I could have put on a face, pretended to be something I wasn’t, not return the love they were so graciously giving me. I am undeserving. I don’t think my 8th graders will read this, but if they do, please know this: you are amazing. You brought this experience to life for me. You were the real deal: my first students that were just as much mine as someone else’s. You taught me that it’s okay to care, it’s okay to open up, it’s okay to ask questions, make a fool of myself, admit that maybe I don’t know everything. And I don’t. Y’all know I don’t. 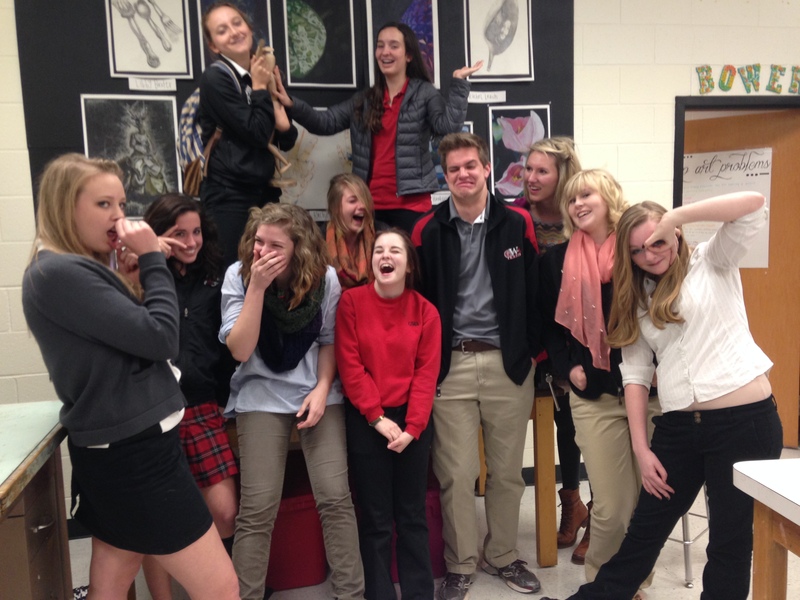 Seeing your faces every day (and missing them now) has made my choice to be an art educator a fact. You have confirmed which I have been hoping all along would be true: I am meant to do this. Britt, working so hard on her portrait. Those eyes blow me away. I have enough memorabilia to smother an entire board at my new school. The APeepers showered me with love and treats (OMG RACHEL THOSE CUPCAKES. I wish now that I had eaten five more) and beautiful art work. Mrs. Bowers created an insane and thorough “survival kit” for me to take when I begin… she is always thinking of me and going above and beyond to do what she thinks is best for me. It’s truly amazing, and I am so grateful. I have learned a few things about myself: I am less scared than I believed myself to be, I am not as good at remembering names as I had hoped to be, I get comfortable too quickly, I am a pusher who knows how to properly push (Bowers… <3), I am an encourager and a motivator. And when I feel brave, there are few things that can stop me. Ash and Kennedy, my sweet pair from first period. 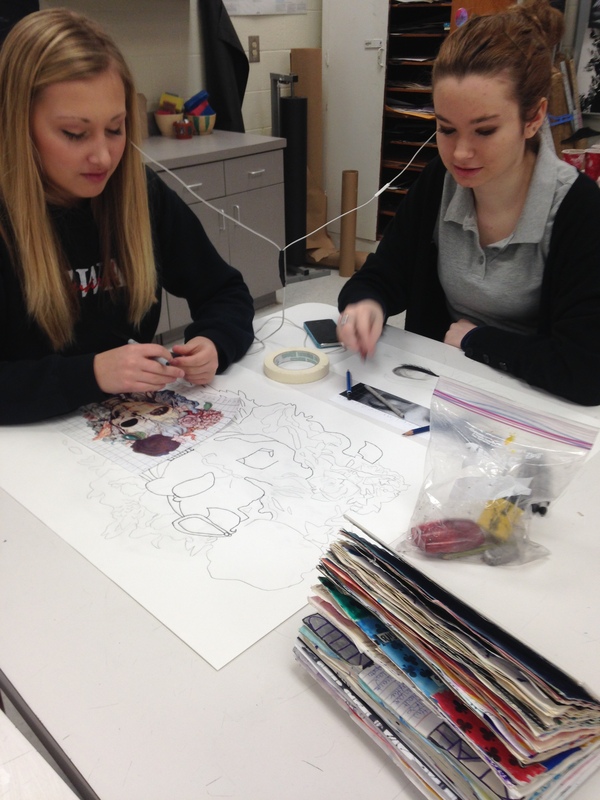 Every day they share headphones and help each other on their art. George Walton, thank you for making me brave in a situation I believed would be impossible for me to find my feet. This has changed my life, forever. Olive’s third mixed media piece in less than a month. Morgan’s shell… so amazing and I am so proud of the challenge she has brought herself through this project. 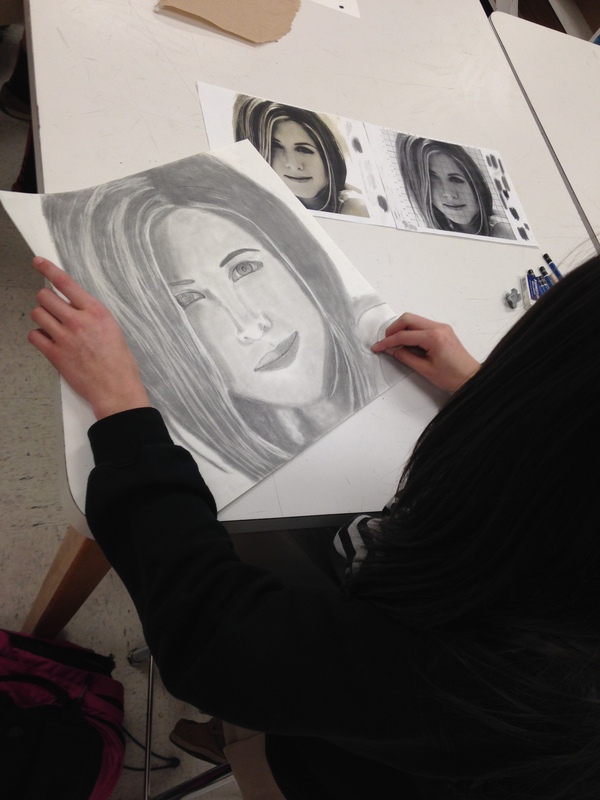 Ashley’s phenomenal portrait of Jennifer Aniston. 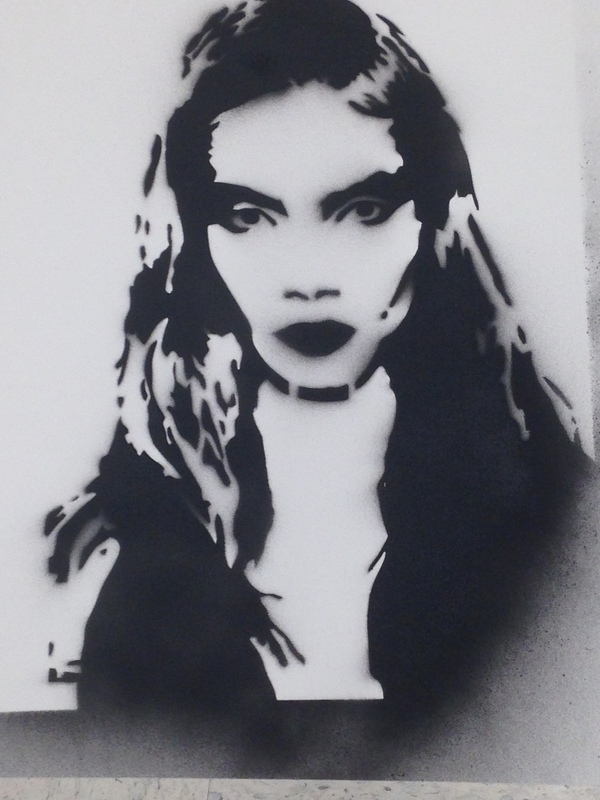 Doesn’t it look just like her? Completed works up on the board my last week at GWA. Chase smoothing and Reade photo-bombing. Camille’s gorgeous set, in homage of Hayley Williams and Paramore. Kaitlyn blows me away. Those brush was done with chalk pastels and looks like real life… I can’t even. ← Day 13 (and fourteen) – Every day blogging is kind of hard.